Fun Fact: Christopher Columbus didn’t discover America, the Vikings did. * It’s been a millennium and a dozen since they’ve graced our shores with battle-axes and blonde hair, but they’re finally back! 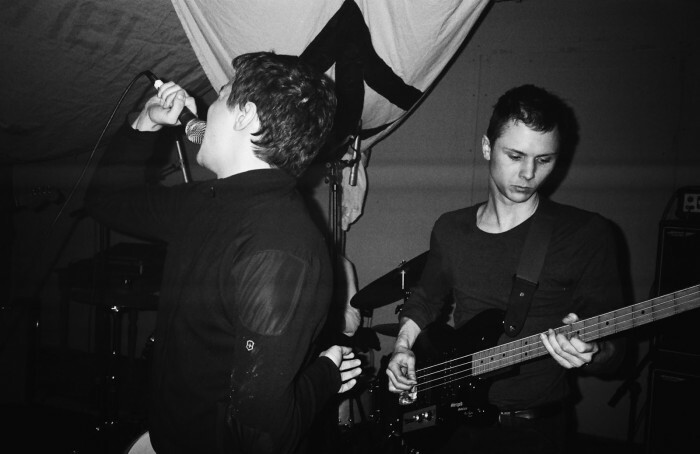 We haven’t talked about them before, but errbody who’s hip to the current jive has known about Copenhagen’s Iceage for the past couple years now, so we’d like to turn our attention to Lower. Tumbling tom-toms and some nasty guitar-work comes together for some of the most urgent and sharp rock ‘n’ roll we’ve heard in centuries. We’ve been able to catch them a couple times in their home city, and every time we’ve stood there with our mouths open thinking “why didn’t I think of that! ?” They’re touring every where BUT Nashville, sadly, but everyone who’ll be down at Chaos in Tejas have gotta make time to see them before The Damned(!) They’ve put out two 7″‘s so far, and if yr lucky there might be a few copies left on ebay or something.